Cylinder, rear wheel, assy. 3/4 inch NOS US production. 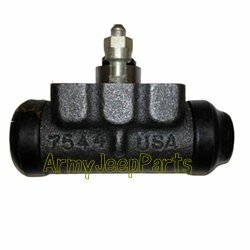 This 3/4 inch cylinder will work on all early model jeeps from Military to civilian. They also are correct for M151's excluding the A2's. US cylinder are not longer made so get these while they are still available. QTY Limited.